This week we’re joined by Professor Ralph Buehler of Virginia Tech, who talks with us about the German transport concept of Verkehrsverbund. The word translated to English means “transport network.” We discuss where the first Verkehrsverbund was formed and how more integrated systems could make transport in the United States more efficient and connected. There’s also a discussion about docked bike share as well as how we can think about mobility as a service platforms in the future and their relationship to existing transport systems. 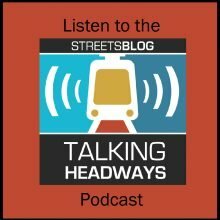 JW: Ralph Buehler, welcome to the Talking Headways podcast. RB: Thank you for having me. JW: So before you started, perhaps you could tell us a little bit about yourself. RB: I’m an associate professor in urban affairs and planning at Virginia Tech’s Alexandria Center, so we’re located right outside of Washington DC, and my research is mainly on travel behavior, transport planning, transport policy and transport systems, so how people get around for their daily trips–if they walk, ride a bike, ride public transport or drive by car, and determinants of that and outcomes related to sustainability, to the economy, but also to public health. And as my accent may already give away, I’m from Germany originally, and so a lot of my work is international comparative–typically looking at either Canada, the United States, and western European countries because I think these countries can learn a lot from each other and and get ideas on how to improve, or how to implement new policies that have worked elsewhere. JW: What got you interested in transportation research? RB: What got me interested in transportation research was being an exchange student in the U.S. coming from Germany. And I had already been interested in transport a little bit but not as a research topic, and so then being here in the U.S. I suddenly realized that things that I took for granted like riding my bike if I wanted to go to a shop or go to work or go to university was not possible in many places. Similarly, getting on on public transport, which was a usual occurrence for me, proved to be very burdensome and very difficult to figure out where the buses run and when they run, etcetera, and so I got interested in the question: Why these differences? What makes the differences? What are the benefits? What are the costs? What can be learned there? So I think that’s what really triggered my interest in transportation research. JW: Was it frustrating to come here and not have the same mobility options that you did when you were in Germany? RB: I wouldn’t say frustrating… It was very interesting, it was… you’re taking things away that you are not even thinking about. It’s just– I took my bike to go places when the bicycle made sense and for other trips I would ride public transport, and that wasn’t possible here. And another interesting thing that happened here was that just because I rode my bike, suddenly people refer to me as a cyclist. And I’ve never thought of myself as a cyclist– I’m a person that takes a bike for some trips! But then here in the U.S. the fact that I rode my bike for some trips made me a cyclist. This was all very intriguing. JW: Yeah that’s really interesting. I had Michael Coleville Anderson on recently, and he said the similar thing that he’s not a cyclist, he’s just a dude that rides a bike. So I find that really fascinating, just because it is very true, obviously. I guess I see myself in the same way– I have a bike, I use it when I need it, but I wouldn’t consider myself “a cyclist.” I guess you know, we’ve set up a definition of a person who bikes as a cyclist which is a little bit strange now that I’m thinking about it. RB: Maybe it’s also related to other factors. One is that it requires a certain effort to ride a bike or at least it has required, it’s improving and getting better in many cities with separate bike infrastructure and all these things that I implemented. So you need to be a special type of person to be willing to ride a bike and ride alongside fast-moving traffic and higher volumes of traffic. That maybe one thing why somebody is defined as a cyclist here, and the other may be that many of the people who used to do that in the past in the U.S. were more sports cyclists that would wear Lycra and they would be bike messengers, and maybe they would identify themselves as a cyclist. But now as cities are improving their bike infrastructure and bicycling sort of becomes an option, I think we’re going to move away over time from this designation as a cyclist, because the bike in the cities just becomes one option to go places and more people will do it. JW: What’s your take on bikeshare, as it’s kinda manifesting itself in the United States? RB: I think the docking station based systems have been very positive and have created a very positive public image. So we are here in the Washington DC area, and capital bikeshare has in my view greatly increased the positive attitudes toward cycling. You see these red bikes, they’re clearly branded, people are not riding them very fast, are not very dangerous when they’re riding on them, and I think that has helped the city to also implement more bike infrastructure and get cycling out to more people. In addition, it takes away for you the need to maintain a bike, you’re docking it and then it’s the company’s problem, the same with the theft issue. I think these docking station based systems have been very positive in the U.S. The newer ones, the dockless bikes, are a little bit more complicated. They are more flexible, they allow people to go to many different places, but because they are often not parked correctly or are vandalized by others who are not even riding them, they have a more negative image. And I hope that in the end, the positive image will also be the main image of dockless bikes, but I’m not so convinced yet that that will materialize. But the docking station based systems have been very positive for cycling. JW: Dockless bikes seem to be disappearing though, I mean they come into cities and then a number of companies have pulled out the electric options, the scooters and the e-bikes have been very popular, but I’m curious why it’s been hard to take hold for some of those dockless systems. RB: I think there have been different experiences in different places. In some places, they were limited in their operations, they were capped to a certain number of bikes and if you only have very few bikes, your system is not that viable because it’s not that easy for users to find bicycles when they need them. Other problems are that some of the bikes were not well built, they feel cheap, after a short period of time they already looked like they were falling apart or not very attractive. Then in other cities, the cities were just not ready for that many bikes. I think it was either Dallas or Houston that just got flooded with dockless bikes but it was not a big success. I think there were differences in why it failed. In the end, we see that trend now that can then also relate back to public transport, we see that trend of these car sharing companies now buying bike sharing companies like Jump was bought by one of the Uber or Lyft, and the same with Motivate, which is the company that runs many of the bike share systems in large U.S. cities. And they are trying to now connect the bike share to their modes, which in that case is ride hailing or ridesharing as they refer to it, so I think that can also be a new wave for bikeshare and also for the dockless bikeshares or the scooters or the e-bikes to be sort of a part of a mobility mix. And of course public transport would also have to be the backbone or a big part of that mobility mix. JW: Yeah I wanted to talk to you about public transport and specifically about Verkehrsverbunds, and hopefully I said that right. RB: Yes Verkehrsverbund, that sounds just right! JW: Good! And I put it in my Google translate and it means basically “transport network,” but I know it’s not that simple. So what is Verkehrsverbund? RB: Verkehrsverbund, I would describe as a regional public transport association, and they exist under that name in Germany and Switzerland and in Austria. And what a Verkehrsverbund does, and they’re all a little bit different, is services, public transport, timetables, fares, marketing, branding, customer information in a region across different modes of public transport, across different jurisdictions and across different operators, with the goal to sort of provide a seamless service, so a seamless service experience for the customer. That’s the main idea of having a regional public transport association or a Verkehrsverbund. JW: And what are the origins? What was the first one? RB: So the first Verkehrsverbund started in in Germany in the city of Hamburg in 1967. That was the operation of the system in 1965 they sort of integrated into the organization. And the motivation there was that public transport providers got together, who saw their market share decline because of increasing motorization. So people abandoned public transport, they were driving their cars, and the transit operators in the city saw their customers disappear. And one response to that was to integrate the ticketing and the timetables of all public transport within the city of Hamburg. And there’s one statistic that’s always cited with the founding of the Verkehrsverbund in Hamburg, is that prior to that Verkehrsverbund, you needed up to seven different public transport tickets to traverse the city of Hamburg for the different public transport providers, and they all had different rules about peak time, they have different rules about the age cutoff for being a senior, they had different discounts of course for seniors, they had different age regulations for children etcetera, and they didn’t have integrated timetables. And so by coming together in 1967, they were able to offer the customer one ticket to use all of the public transport in the city, and then to integrate the timetables and the transfers to not just have one ticket but also have a more seamless journey across these different modes. Because that’s what the customer cares about: I want to go from A to B. I do not care if the buses so that the subway is from a certain company, and I don’t really care about the boundaries of the service area off that public transport provider. I care about getting from A to B. And that’s what this idea gets closer to. JW: How many operators were there in Hamburg? I mean you mentioned seven different tickets to get from different places, but how many operators were there before they consolidated everything into a kind of a one ticket system? RB: I don’t have the exact number at the time, but today there are at 29 different public transport operators collaborating in the Hamburg region. But you have to know even though that’s a big number, that typically in most cities, a couple of large providers that dominate the area. That’s typically the provider of the major bus system, the subway system, or the regional rail system, and those were the ones who were sort of coming together in Hamburg and leading the pack. Of course you then also need smaller public transport bus operators often serving at feeder modes into those rail lines. But so today there are about thirty companies in Hamburg that are collaborating, and I don’t know the exact number from 1967. JW: Is that hard to wrangle from just a governance perspective or is it fairly simple just because of the way it’s structured? RB: To get them all to cooperate? RB: No it’s difficult. So in Hamburg, and it’s still, that’s why most of these Verkehrsverbunds are all very different, it was very difficult to get them together. For example in Hamburg, one of the major operators was the regional rail, and they were not interested in cooperating because at the time the regional rail service in Germany was run by German railways in all cities in Germany, and they were not interested in a special arrangement just for the city of Hamburg. It would mess up their operations and would create a special case. So that the city of Hamburg and the other major Hamburg public transport providers agreed to pay for operating subsidies and even agreed to pay for infrastructure investments for the regional rail, in order to have them join the Verkehrsverbund. So it was a major effort over several years to persuade them to join that effort. Similar things happened with regional bus operators who used to run the services from the suburbs into the city, and now as becoming part of the Verkehrsverbund, their role was to run the buses in the region to the rail lines to then bring people to the city on rails and so they did not want to abandon their services into the downtown city. So initially they were guaranteed farebox revenue when joining the V. V., or the Verkehrsverbund. So they joined the city of Hamburg, and the other providers said okay we’ll make you whole in case you have a loss. So they were not easy to set up. Lots of political negotiations and deal-making. JW: Where’d the money come from to guarantee the fare box revenue? Because it has to come from somewhere, whether that’s the federal government or cool tax base I’m guessing. RB: No, no, most of these Verkehrsverbunds in Germany came from the local level. So the money would come from the city of Hamburg and the other major public transport providers in the city of Hamburg. And in many of these cases those guarantees were only needed to overcome initial reluctance to join the systems and then once the systems worked and ridership increased, the providers actually saw their revenues go up rather than than decrease. But without that guarantee they wouldn’t have joined. There are other examples, and by the way many of these Verkehrsverbund or all of them offer steeply discounted monthly tickets and annual tickets. So you pay a flat fee per month or per year, and then you can take as many public transport trips as you like. They have also been very effective at increasing ridership because they are mimicking the automobile in the sense that you buy a car, and once you have the car and there’s gas in the car, each trip sort of feels like it is free. And that’s sort of what it is when you have a monthly or annual ticket–each trip feels like it is free and the more trips you take the average price you pay per trip is coming down. But introducing those tickets was also very difficult because public transport operators were used to their fare structures they had and they were reluctant to change it to this monthly or annual pass system. In quite a few of the cities, for example the German city of Freiburg, the city council forced the transit operator to implement that ticket and guaranteed their revenue in case there would be revenue losses. What happened was ridership soared and the sales of these tickets soared so that never needed to be paid out, but without that guarantee they would not have come along. JW: I saw in one of your papers where sometimes the annual pass is $365, so basically a dollar a day which is super inexpensive for riders. RB: Yeah I mean that’s the political price they have in Vienna and in Austria. In 2011, 2012 they dropped the price of the annual tickets to 365 euros for an adult, they dropped it to 224 for seniors, I think 62 or 63 is the age cut off, and they also saw a huge increase in the sales of these annual tickets. I think they went from 360,000 in 2011 right before it was introduced to over 630,000 in 2014, 2015. So people were really buying these cheap tickets and ridership went up and up a lot. Vienna is a little bit of an outlier because it’s a city of 1.8 million people, and you can use all transit all year for 365 euros. Many other systems are more expensive but it’s a similar idea to mimic the automobile. And just one add-on to this idea of mimicking the automobile, it’s not just the cost structure with the annual ticket that mimics the automobile, but it’s also the idea of making the journey seamless. You go from origin to destination and if you have to switch between modes that switch is coordinated, so your bus drops you off at the train station and within a couple of minutes the train is leaving. That’s a seamless journey, which you have with the automobile. It also increases the speed of your journey if the waiting when switching modes is very short, which again is what the automobile does– it’s relatively fast in getting you from A to B. So this whole idea of the Verkehrsverbund and of the ticketing and of improving the customer experience in the journey is a little bit based on mimicking the advantage of the automobile. JW: Are shared options getting integrated into the systems as well, or is it just public transport? And I’m talking about bike shares and car shares and those types of things. RB: So the two you mentioned get integrated more and more, and there have been some areas like the Hanover area in Germany that have done this already for a while, others are working on it. The city of Karlsruhe is having a big project, but typically they’re bringing in bikeshare and they are bringing in carsharing, and they’re bringing them in in different ways. So one way is the physical integration, so that bike share and carshare is available at stations or in the case of carshare is available at certain stations, but then the second element is to try to bring them into the payment system. So let’s say you have a monthly pass for public transport. It may include 30 minutes, 90 minutes of free bikeshare or reduced rates for carsharing or a membership in the car sharing association. Yet another element of that that is still developing but integrating all of this into an app-based or an online payment system, that all of it is coordinated and coming out of one app or one account or one fare card that can be used across these different modes. This also occurs a little bit in Germany the other way around. For example, German Railways, the national rail provider, like Amtrak here in the US, they now offer intercity rail tickets that you have to pay a little bit extra but they include public transport at the origin and destination city of your intercity trip, which makes perfect sense because if you’re not dropped off or picked up, you will get to a train station and then you’re not gonna be at the train station for your trip, or most people don’t. They have to go somewhere else, and so including that ticket for local public transport is then also important. So it’s not just the bike share and the car share, but it’s also thinking about the the intercity trip. JW: One of the interesting things people say about the United States is, you know, we’re a “car country.” I mean I don’t necessarily believe that, but it’s said often enough. But Germany is also very auto centric, and I think I read the other day where one in five jobs in Germany is related to the auto industry, and yet they have these systems for transport. I’m curious how that squares in terms of the comparison to the US but also how the car culture is taken in Germany as compared to the U.S.
RB: So I mean the automobile is very important in Germany. Many of the big automobile manufacturers that come to mind are from Germany, and they have a lot of political clout because they create a big part of the economy and a lot of the employment is associated with it. And many people have cars and car ownership has been increasing, and people like their car, and like in the US they associate the car with freedom or being free– being in a car it’s this image of being out in the open country and of course not in traffic congestion, so it’s the same as in the U. S. it’s the same. There was even Germany’s AAA had a slogan in the eighties and the slogan was “free car travel for free citizens” and that’s the idea: the car is freedom. But also in the seventies and eighties, what people saw is in cities the car can have negative effects on traffic safety and quality of life, on air pollution, etcetera. And so they were looking for other mode of transport in cities that makes sense in those places, and public transport is very effective at transporting many people in a dense area fast. The same can be true for the bicycle that which can transport people individually but doesn’t use a lot of space, it just uses the bike lane. So in cities, there is a, not for everybody, but across society there is an acceptance that other modes of transport may make more sense for certain trips. Doesn’t mean that people who ride public transport ride it for every trip and always, they may still get into a car for a weekend trip and go out, or they may get into a car and drive out to IKEA somewhere at the urban fringe to to buy IKEA furniture, but they also use public transport for other trips. I think that’s an important concept, and we see that more and more in European countries and maybe a little bit in the U.S., this idea of multi-modality. What that means is that people use different modes of transport for different trips. Maybe that goes back to the beginning of our conversation when I said I didn’t consider myself a cyclist just because I rode a bike, so you may use a different mode of transport for different trip. You may ride public transport to work or you may ride it to the city center in general, but you may get around with your bike in your local neighborhood and you may drive if you have weekend trips or you go to Home Depot or things like that. So you are combining these different modes. I think we see that much more in Germany or in Europe that we see that in the U. S. But one of the reasons for that is that in the U.S. driving has been made so attractive that it’s very very hard for other modes to compete. Gasoline prices, and not all of the listeners would agree, but gasoline prices are cheap compared to European countries. Parking is abundant. These minimum parking standards that have been built around most malls, workplaces, and homes make parking abundant and easy. The roadways are wide. Speed limits are relatively high compared to Europe, even in neighborhoods. So driving is inexpensive and fast and has been made very attractive, and I think that hasn’t happened to that extent in Germany or in many European countries. At the same time other modes there are much more attractive, but US cities have been changing over the last 20-30 years. They have been improving other modes of transport other than the car and some cities are now also starting to push a little bit on the car, makes parking more expensive, reduce speed limits, etcetera. JW: And from reading some of the papers, it looks like the Verkehrsverbunds have increased ridership whereas in the United States there’s a couple cities that are increasing ridership, but for the most part there’s been a lot of hand wringing about the reduction in ridership. And I’m curious how you know how those two scenarios differ in terms of places like Berlin and Vienna and even Hamburg versus say Seattle but also cities that are losing ridership around the United States. RB: So, one thing in the background of this is when we did some studies looking at national household travel surveys or citywide travel surveys– so these are surveys done by cities or by countries to see how people get around, which mode of transport they use and to collect some information about those economics, demographics, land use etcetera. And if we compare these surveys specially between the US and Germany, that’s where we have a really good comparable data set, what we find is that public transport and non-automobile modes are able to attract riders that US public transport and bicycling can’t. So even households that have as many cars as drivers still use public transport at a relatively high rate in Germany. Even areas with lower population density are still using public transport at a high rate. The same is true for when you compare income groups or rural areas etcetera. So there is something about public transport or the bicycle or the other modes, that’s able to pull people away from the car by making it more attractive, while in the U.S. once people reach a certain threshold of automobile ownership they’re not using these other modes. 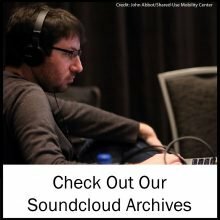 There has been some interesting research based on the LA area, Brian Taylor from UCLA and Evelyn Bloomenberg (22:30) and their colleagues there, and what they found for the LA area is that these declines in transit riders are related to increases in motorization mainly among poorer immigrant populations. So these are populations that are now able to afford a car, and as soon as they are able to afford a car they are abandoning public transportation, and one of the reasons is that likely A, that maybe that they want to have a car but B, that their experience on public transport was not a positive one–that was not something they want to repeat. So public transport is not able to pull them out of the car for certain trips. So while car owners in Vienna or in Berlin or Hamburg may still use public transport for certain trips because it’s just the fastest and the most convenient mode for that particular trip, many US transit systems do not seem to be able to do that. Seattle is one of the bright spots for the U.S. at the moment, they have been increasing their ridership and a lot of what they do is they are putting out more and more bus service on dedicated bus lanes, speeding up the bus, making it more reliable, making it more frequent, and offering a service that is appreciated by the riders. And so when in the U.S. a lot of public transport services is not that attractive or not that reliable or doesn’t run at the times when when customers need it, as soon as they can get hold of a car they’re gone and not coming back. Then on top of that for the U. S. at the moment, you have legacy systems like DC where we are or New York which really have big problems with keeping the systems up and maintenance, and they’re losing riders that way because the system is just not that reliable anymore. So I think these negative trends in the U.S. are partly a problem of the transit systems of the service not being attractive enough to keep riders riding once they have access to automobiles. JW: And one of the ways that the US and Germany and the reason why these case studies are so important I think is that the federal system is somewhat similar. You have the national government then you have the states and the localities, whereas you mentioned in some your research, the Netherlands is such a small country that the country has more say in transport networks. I’m curious how those connections between the US and Germany could translate to better coordination for systems to make it more attractive to increase service, to make things better for people so they don’t go away in droves and find cars. RB: I think there are many many ways to talk about this. Let’s stay with public transport and the Verkehrsverbund for a moment. And so all that the three countries we looked at with the Verkehrsverbund– Germany, Austria and Switzerland– they’re all federal systems of government like the U.S., of course with different types of federal systems. Austria is the most top-down federal system and what they have done since the 1990s is they have required regional coordination of public transport in all of its states. They had a trial period in 1984 starting in Vienna. When they saw that it worked, the federal government sort of mandated Verkehrsverbunds and they also gave money to offset the coordination and the cost of the Verkehrsverbunds, so that’s a top down approach. In Germany and Switzerland, it has been different. In Switzerland, the Zurich Verkehrsverbund was founded based on the referendum, typical Swiss traditions are really grassroots– people voting on something. In Germany, all of these Verkehrsverbunds have sort of different stories and histories. Originally as I said the Hamburg system was created and then later also the Munich system and some of the systems in large cities were created based on the transit agencies wanting to coordinate to fend off the competition from the car. They were not helped by any federal regulations or federal government coming in. I think there are interesting stories there for the US to look at how this can work as a bottom-up process. A little bit later in Germany, in the 1990s, the federal government and the state governments implemented funding streams and legislation that sort of incentivized and in some cases required depending on the state regional coordination of public transport. So again I think there are lessons for the US because the US is so heterogeneous across the different states, but the different states may take different routes. The state of California may be interested in playing a very active role in enticing its regions to coordinated and maybe even have a statewide integration, but other states may stay away from that. So I think the federal system offers rich lessons for different situations or different scenarios, but that’s just the public transport side. Of course there’s also another side and that’s where Germany is different and Switzerland and Austria from the U.S., that’s in taxing gasoline much more aggressively so gas taxes are much higher, even taken together the state and federal taxes so that’s a more favorable environment for public transportation to compete with the car if the automobile is made more expensive. But even there you can have grassroots or bottom-up processes like in Switzerland, where the population every now and then votes to increase the gas tax. As we see also in some U. S. states that people favor sales tax increases for transportation investments. JW: In Switzerland, they just voted, I think it was 82% of the people just voted to change the constitution or the governing document to include the need for the state to get involved in bike infrastructure, like I think that was like a couple weeks ago actually. RB: I read about that as well and by the way, Switzerland is not a big bicycling country or has not been. The bicycle is only coming into Switzerland or has been coming in over the last 10-20 years. The city of Basel is a big example of bicycling but cycling in Zurich for example is at pretty low levels still, so they’re discovering the bicycle and they want to encourage cycling. They have been very good at promoting public transport to even have this, that we didn’t talk about that yet because we talked about that coordination in the region, but Switzerland has a nation– it’s a small country– but they have a nationwide ticket for public transportation. So you pay a quite considerable sum, but you pay a sum once a year and can use all public transport including the gondolas and things going up and down the mountains in all of Switzerland for the whole year. So they have managed to not just have a Verkehrsverbund for a region but they have been able to integrate public transport countrywide. JW: That’s pretty cool. And also, I mean Vienna is a different story from the German experience as well it seems like. RB: Yeah, Vienna is different in the sense, and probably in my estimation for Europe or for western Europe they have the best public transport system at the moment, and they’ve decided to build a subway. They decided that in the late sixties, before that they only had had trolleys, and the system has been growing. The first phase opened in 1982, and since then they have kept expanding the system. And around that system they have the Verkehrsverbund, but in Austria and because Vienna is such a big city and so important for the Austrian economy and it’s the capital, there’s a lot of federal support for the city of Vienna which gives them different financial flexibility in investing in public transport and making it work. They’ve also implemented a parking management in its city center so once the public transport was running and was running well, they were able to reduce on street parking by limiting it to two hours at a time and charging fees for it, and that has has really reduced the number of people at driving in Vienna. The share of trips by automobile went down from 40% of the trips down made by Viennese in Vienna in 1990 to 27%. While public transport took the other way and has now almost reached 40% of all trips by the Viennese in Vienna by public transportation. So it’s a phenomenal change in travel behavior over the last twenty five years, so Vienna is different indeed. JW: Yeah, that’s an incredible statistic, the reduction in auto trips in the central city from 40% to 27%. I’m curious if there’s any other cities that are– I know Paris and Hidalgo is really pushing hard on the reduction in automobiles– are there any other cities? I guess London just announced this week the square mile, announced that they are trying to reduce car trips as well and create pedestrian places, but are there any other cities in the German-speaking part of western Europe that have this push towards reducing car trips in central cities? RB: Yeah, I think many many cities are actually going that way. That’s necessarily the region because you still have suburbanization and growth in car use in in the region, but many cities are showing that trend. Not as extreme as in Vietnam, but we did, when we looked at the Vienna case study for our research we looked at ten other large cities in Europe and in German-speaking Europe, like Zurich, Hamburg, Munich, Berlin, but also Copenhagen and Amsterdam, London, Stockholm, and they all showed trends in decreasing car use–not as extreme as in Vienna but several percentage points of car use, the share of trips by car, being down several percentage points. Not always going to public transport, but often also going towards bicycling and in some locations even towards walking. And that has to do with the recognition that the car, because it’s so big and uses so much space, is not necessarily the best mode of transport for the urban center. It uses a lot of space to be moved and it uses a whole lot of space to be stored and cars are parked a lot because you’re not going to the city because you like to drive so much but you’re going to do something there, and while you’re there the car will be parked and will need that space, and that space can be used for other purposes in the city. It can be used for parks, it can be used for public places, it can be used for outdoor seating of restaurants, it can be used for wider sidewalks, it can be used for bike lanes, it can be used for public transportation. So there’s sort of this reconsidering of the urban space and how we use that space. I think you can see that across many many cities and many projects like in Paris when this whole process got underway, one of the most famous things they sort of did was the power the Taj (32:25) , where they took parts of a motorway along the embankment of the Sienne in the summer and turned it into a beach. And that sort of speaks to the idea of: how are we using the space in our city? And for a long time the default had been using the space to move automobiles, but now people are starting to reconsider that and say wait a minute the purpose of the city is not to move cars. The purpose of the city is that there are people who live there or who work there, and they want nice places and nice spaces, and a motorway or a car park are not the most pleasant environments. JW: I’m also curious how much deference is given to transportation planners in these systems, in these Verkehrsverbund systems, as here we have a lot of politics and especially when we’re deciding on whether we’re going to build a bus lane or a transit line, a subway, you know the routes and locations are often debated over and over again. I’m curious how much politics plays into some of these decisions of transportation coordination and construction. RB: I mean there’s always politics involved, and there are always politicians involved to have certain goals and so the same– you have fights about a new subway line is built, what’s the routing of the line, who will get the benefits and who will not be on the line, who will not have to benefits, so that that exists as well. And in the Verkehrsverbunds it’s the local jurisdictions that are coordinating region-wide, that are setting the funding levels for public transport, and they are deciding on infrastructure investments. But they do so in cooperation with the public transport providers, and they are getting the input and the technical expertise of the public transport operators to figure out what are the most effective lines, what are the most effective ways of running the service, of doing this service. It’s not just the collaboration across jurisdictional boundaries, but it’s also the collaboration with the public transport providers that in the end allows for a still political but probably a better decision or a more informed decision. But politics will never go away and maybe we don’t want it to go away, because these are democracies and people have interests, and interests vote, and they vote for politicians who then try to implement those interests and therefore they are constituents. JW: What’s the most exciting topic for you now? What are you most excited about researching? RB: I’m most excited at the moment about this whole transition that we have been talking about that’s happening in cities and also in U.S. Cities are discovering that urban space can be used for other things than the automobile, and then that opens up all these possibilities of promoting cycling, promoting walking, promoting public transportation, improving public spaces, and making the spaces nicer and more livable for residents. And then layered on top of that you sort of have this technological revolution of the e-scooters and the e-bikes, to some extent the ride hailing services, it’s a very dynamic area, but a lot of it is happening in cities. And the people are rediscovering the cities as great places, these great livable places, and often also with the goal to have less of an impact on the environment so to make these places environmentally more sustainable, while not forgetting, and it’s a big challenge of course, about social equity and other issues. JW: Yes, definitely important point, something we cover a lot here is the equity concerns. It seems to be a topic that comes up more and more, which is a good thing. You also been writing papers about or at least thinking about the far future and and autonomous vehicles as they compete with public transport. What’s on the horizon in terms of thinking about the connections or the disconnections between this future technology that doesn’t even exist yet–I mean it kind of exists in terms of it’s in people’s minds and they’re testing vehicles, but it doesn’t exist in the way that people think it will yet and maybe not for a long time. I’m curious how the competition between public transport and the future potential autonomous vehicle is moving. RB: There’s so many changes at the moment in the transport field, and even before thinking about autonomous vehicles we have these app-based ride hailing services, we have the e-scooters, we have the dockless bikes, we have cities like San Francisco and others reconsidering how the use the curb space. We have this possibility of public transport in other modes integrating it into mobility providers where you don’t just buy your public transport ticket but you also buy the bike share trip or the car sharing trip or the e-scooter trip with one ticket or one mode, and on top of that you can layer this idea of the automated vehicles. I’m more skeptical than most of the car companies are right now, it has always been in five years we’ll have that, in five years we’ll have that, but it’s always been five years. And we’ll see more of these vehicles that can do more things alone without driver input over the next years, but I think that the fully autonomous vehicle that can drive under any weather condition on any roadway is still far off. We’ll see some of them operating in certain environments and certain conditions, maybe in certain geofenced (37:30) areas or on certain lanes, etcetera. I think for public transport the important element here is to see that what the autonomous vehicles try to do partly is to mimic public transport. They want us to not have to use the steering wheel and use the time that we now use driving a car for other purposes. You can only do that on public transport, but in some ways the autonomous vehicle is trying to get at this competitive advantage of public transport, and at the same time public transport has to try to get at the advantages of the car by providing the seamless fast services etcetera. And public transport can of course also use some of the automated technology to provide public transportation service, but the bottom line for me is that even if these cars all automated, if we all driving alone in our automated vehicle, public transport will still be needed at peak times and intense areas. The vehicle itself, just the car, a private car, just needs too much space. We don’t have all of that space. Even if all of us could drive in an automated vehicle that drives by itself tomorrow, we couldn’t all get into downtown Manhattan at the same time because these metallic boxes, boxes of metal, need too much space. So public transport will still be need and also public transport will be needed because, back to the equity question, because not everybody will be able to afford these expensive automated vehicles. They are not produced to be the cheap entry market model, they will come into at the high end model so public transport will be needed for equity purposes. But this doesn’t mean that public transport providers to just lean back and focus on themselves. They have to actively compete with the automobile and actively try to mimic the strengths of the car. That includes integration with other modes that includes integrated ticketing, monthly tickets and all the great things we’ve been talking about. On top of that, of course then leaving the field of transport we have to get the land use right. We have to get population densities high enough and areas mixed enough in land uses to make public transport viable, but also to make walking and cycling with shorter trip distances viable. If the trip distance is too long, people will not walk or will not ride a bike, even with e-bikes when they can go a little further. And the last point on this with the automated vehicles, what people seem to be so excited about the final stage when these cars can drive themselves but that final stage may actually be the easiest stage. The most difficult stage will be a transition. There will be a very long transition. You will have roadways with cars that can do everything, cars that can do a little bit, cars that they can do nothing, and you will have pedestrians and bicycles in that mix and that mix can be very very dangerous, and we have to start thinking about that transition. And that transition has started, and it’s starting now, even if we don’t know when we will get to the full automation of vehicles. But for most of the listeners and for you and me, most of our lifetime will be that transition, and that’s more important to think about than this end state of a fully automated vehicle and what great things it can do. JW: I look forward to keep putting money on my Clipper card. RB: Well, maybe your Clipper card can do many many more things as time evolves. JW: That’s true. That’s the hope anyways, we’ll see if it actually happens or not. Maybe we’ll get an annual pass at $365 at some point. RB: Yeah, that would be fantastic. But your Clipper card, maybe you can include ride hailing services and all sorts of new modes that may come along. RB: It maybe an early example, but they’re evolving now. But they have been focused mainly on integrating the public transport modes. So they have to evolve into integrating these other modes of transport. And another element with these apps and the way I understand the Clipper card works, is they have to get to the integration of the fares right. I think the way I understand the Clipper card is at the moment you can tap into different systems but they will all charge you their own fare. You will not see it, but they charge you your own fare and so the price for the trip can sort of add up, so ideally the cost structure of different trips is taken together and you’re buying the trip as a package, and you will get a discount compared to buying all these individual trips. That’s what you currently do with the Clipper card, you’re adding trip after trip after trip but ideally the price for these trips would would come down by having one fare across these different modes. And that’s what the Verkehrsverbunds are doing, it’s very complicated in the background, but they’re collecting all the fare revenue and then they’re distributing it across the different operators, and that’s a whole other level of integration. So not just integration of the fare medium or the information about where trips are and when they go, but it’s also then integrating the financial side of things. JW: Yeah, I think that’s definitely where they need to go. I just went down San Jose last week for a high speed rail session, and it cost me I think about fifteen dollars to get down there. Just to San Jose from San Francisco, and so that’s a little bit expensive for a lot of people, and that was using three different transit operators. I had a great transit karma, where I was–I got to every single stop and the train arrived or a bus arrived each time. That was seamless but the cost is still a bit high for folks. RB: It’s piling up. And that’s the thing with cars. Even though cars, as all statistics show, car ownership is very expensive and car use is very expensive, but when you take the trip, for most trips the car is there, it works and has gas in the tank, and the trip feels like it’s free even if it isn’t. And that’s what you’re competing with in the end, even if it may not be rational. You can have all statistics showing that your car is depreciating and you’ve paid insurance and you have paid this and that, when you take the trip you don’t feel it. That’s how people make their decision in the end, and that’s what public transport and other modes are sort of up against. RB: It’s forgotten costs. I mean you have that, and you may pay $25,000 for new car and then you’re selling it seven years later and you get 12,000 or something like 10,000. You just lost $15,000, but you’re not thinking about that every time you get in your car. JW: Yeah, it’s just a cost of doing business for a lot of folks. JW: Well Ralph Buehler, thank you so much for joining us. We really appreciate it. RB: Thank you very much. It was a pleasure. JW: Thanks for joining us. 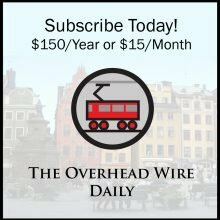 The Talking Headways podcast is a project of the Overhead Wire, on the web at overheadwire.com. 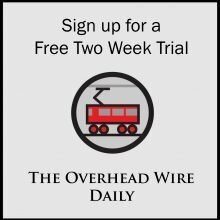 Sign up for out free month trial, the Overhead Wire Daily, our ten year old daily cities news list by texting the word cities to 42828. That’s cities to 42828, and please please please support the pod by going to patreon.com/theoverheadwire. Many thanks to our current patrons for their ongoing support. And as always you can subscribe to this podcast on iTunes or stitchr or soundcloud or iheartradio, and you can always find its additional home at USA.streetsblog.org. See you next time on Talking Headways.